Get the things you love · Every day there's a stunning new image, so say bye to boring search homepages. 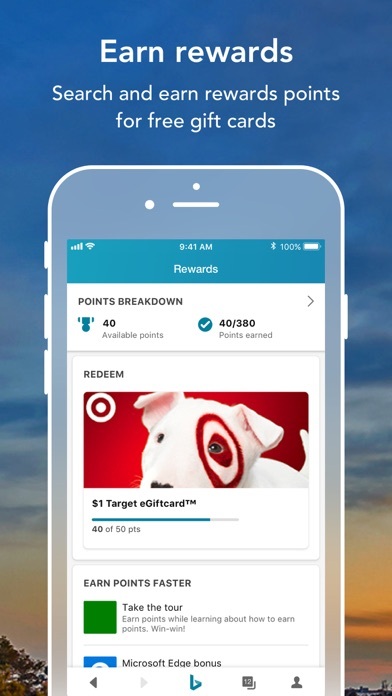 · With Microsoft Rewards, earn points for searching and redeem them for free gift cards from Xbox, Target, Walmart, and many more. 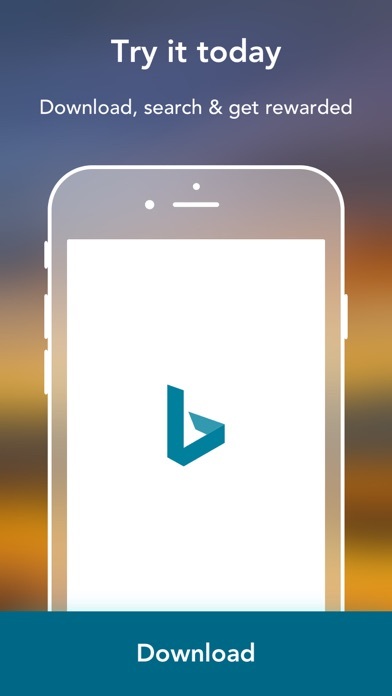 · Interesting, useful answers and info, not just blue links, in a fast app that's easy to use. 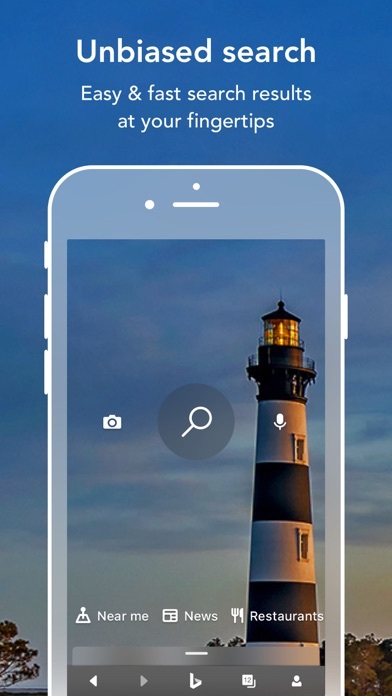 Get the things you want · Snap a pic to search, shop, find similar images, and learn about the things you see. 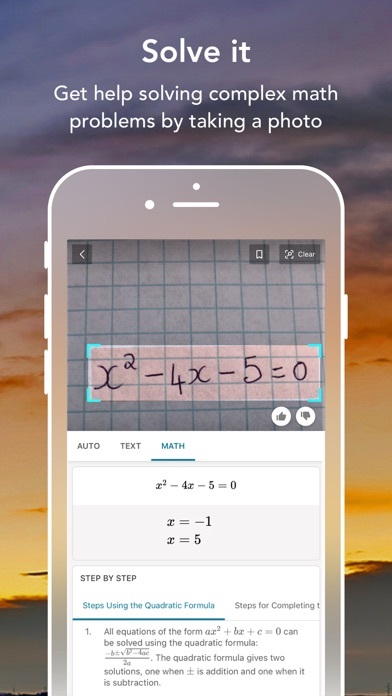 It works with math equations, fashion, landmarks, and much more. · Stay up on trending news, videos, and posts, and control which sources appear without leaving the homepage. · Keep it fun with music videos, lyrics, viral videos, animated GIFs, and more from across the web. 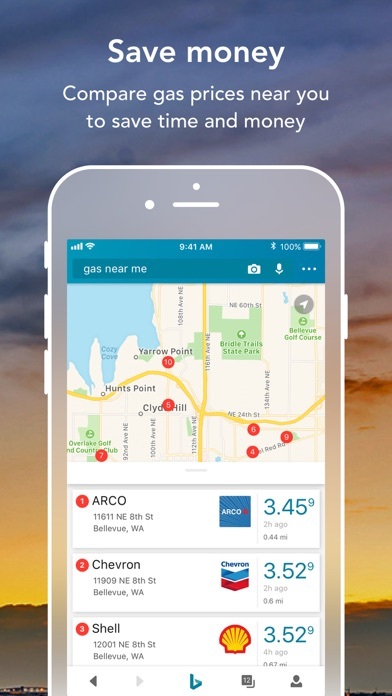 · Save time when you're making plans. 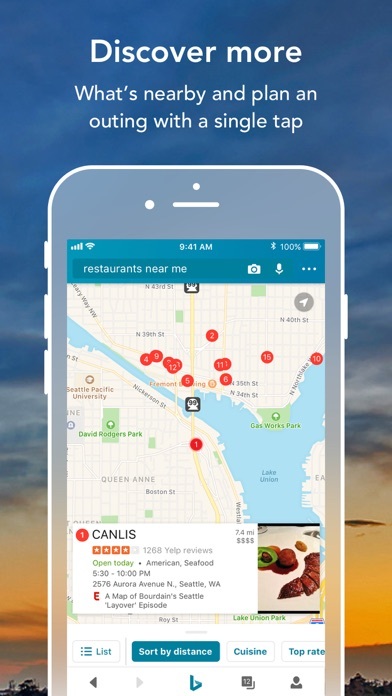 Check a restaurant menu, reserve a table, and book a rideshare with one search. · Save money by comparing reviews and prices from major retailers with the built-in barcode scanner. 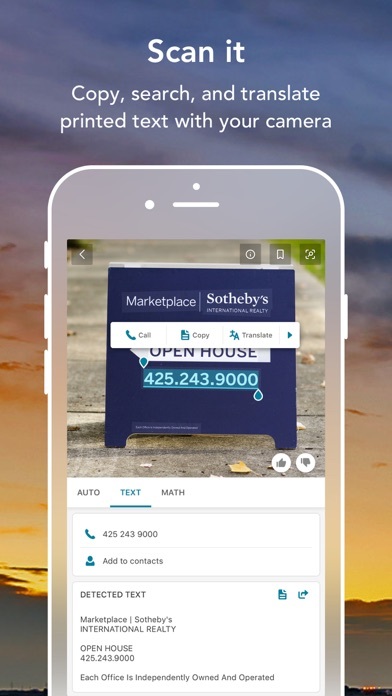 · Discover what's nearby, including deals, places to eat and drink, and things to do, right from the homepage. · Get reviews and info from the sites you trust, including Yelp, TripAdvisor, Wikipedia, and Reddit. 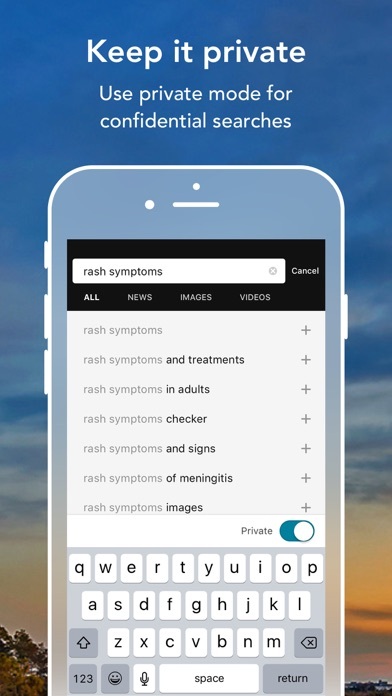 · Control your search and browsing history with private mode. · Save homepage images to use as a wallpaper. · Use tabs to see recent search results. *Some features are not available in all countries. Only lacks support like to get help with bing maps. Love how fast and accurate Bing is. I have never had a problem nor do I except one. I like the app, but it drains my battery much faster than safari. By 2/3 times as much.